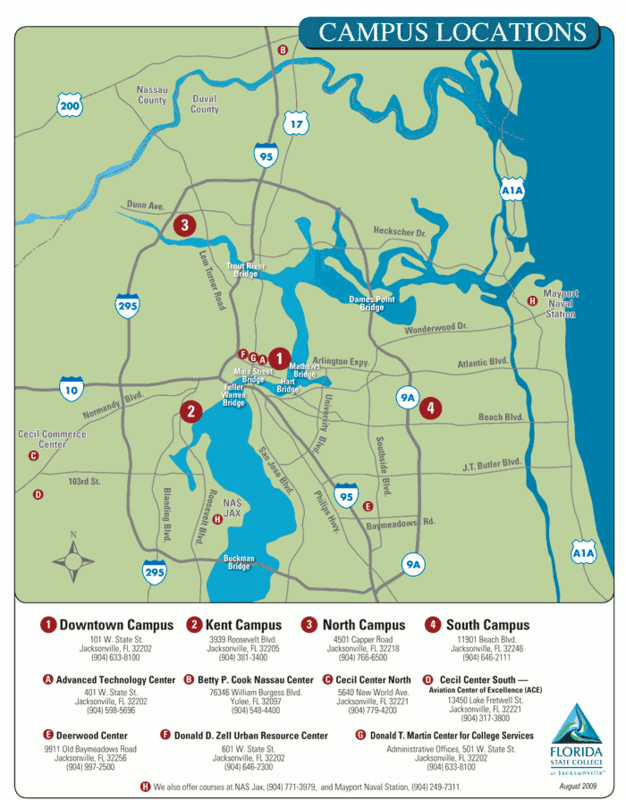 Campuses and centers are located throughout Duval and Nassau counties, offering courses during the day, evening and weekends. Each campus has its own specialties, nuances and attributes that make each a little different than the others. Students may choose to attend one or more campuses/centers of their choice.